Britenz is available online from Amazon and Whole Foods, and at Whole Foods stores. 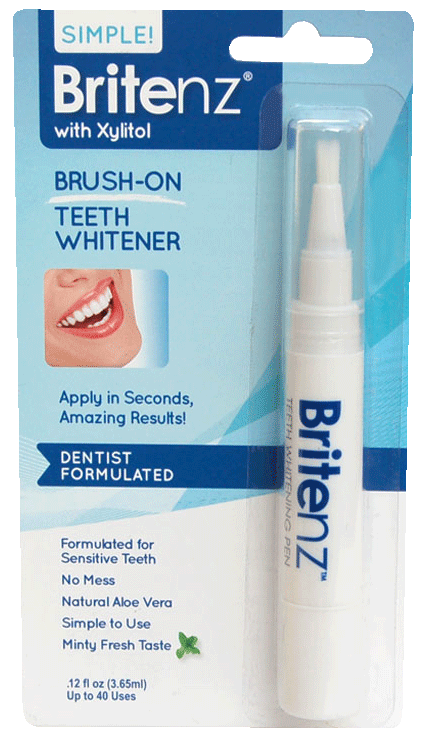 Britenz is an easy to use pen that applies an all natural effective and refreshing teeth whitening formula in minutes. Britenz teeth whitening pen contains natural ingredients designed for gentle teeth whitening at home or while on the go. Use in the office, in the car or anywhere. Notice a difference in just hours. Formulated with safe ingredients to deliver the most amazing results in the shortest amount of time. Britenz’s ingredients create an unwelcome environment for bacteria. Xylitol has been found to help prevent tooth decay. Easy and safe to apply. You’ll be rewarded with fast results. Britenz is an instant gratification product as results begin to show with each use. A gentle minty taste that feels refreshingly clean as your teeth are whitened. Britenz leaves your whole mouth feeling, looking and smelling cleaner. Apply it and look in the mirror. You’ll see Britenz all natural ingredients at work, fizzing away. Britenz fits neatly in your purse, travel or computer bag. Take Britenz with you where ever you go. Apply in minutes while working, reading, or traveling. Britenz is designed for real people who have real schedules. Britenz was developed with the latest ingredients in teeth whitening. These natural ingredients and low pH provide the optimal whitening of the teeth. Britenz Teeth Whitening Pen contains natural hydrogen peroxide and other natural ingredients such as xylitol, aloe, CoQ10 and natural peppermint extract that help in promoting safe and natural whitening. Britenz unique and proprietary blend has been formulated for sensitive teeth. Organic Aloe Vera is ideal for healing and soothing in addition aloe addresses plaque and tartar build-up. Please be aware: If you are experiencing sensitive teeth or gums, you should consult with your dentist prior to using any teeth-whitening product. With all teeth whitening products, individual results may vary. You’ll See the Results — Guaranteed. Take the whitening test. Try it on just one tooth. You’ll notice a difference in hours! Smile — And the World Smiles With You! Thanks to the media, we are conditioned to see smiles supported by bright white teeth. As a result, those who don’t have bright white teeth smile less. Britenz quickly whitens your smile. For added confidence, Britenz also cleans your teeth and leaves your mouth smelling minty fresh. With brighter whiter teeth, you’ll smile more with confidence. Hundreds of studies confirm that smiling actually improves your sense of happiness. The more you smile, the happier you’ll become. Try it! It’s no surprise that we want to do business with people that hold a genuine smile. The more you smile the people that you interact with, will appreciate and go the extra mile for you. Interesting fact: Did you know that when you smile when you are talking on the phone, your smile is conveyed through the conversation? In dozens of attractiveness studies, participants were shown pictures of individual people and asked to rate them. Those who held a genuine smile scored higher than those without a smile the vast majority of the time. Interestingly, in a few studies, the same models pictures where used, with and without a smile. 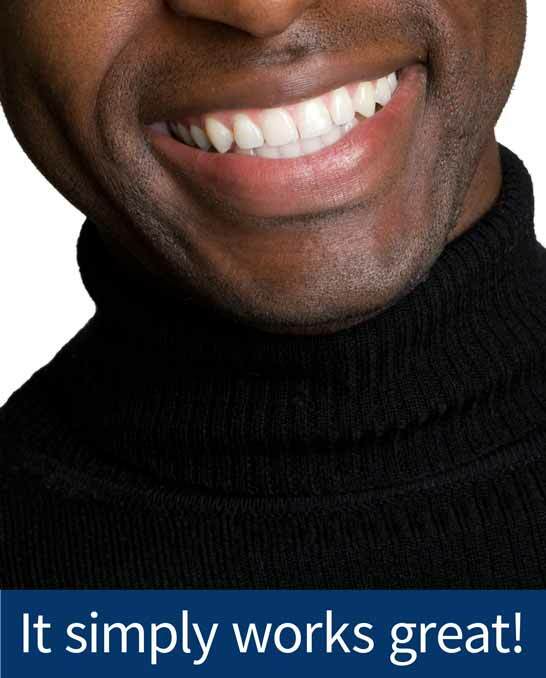 Nearly every time, it was shown that the picture with the smile scored higher. Why? Smiles convey a lot about you, your state of mind, health and social confidence which all contribute to your attractiveness. Smiling changes your mood, is contagious, lowers blood pressure, acts as a natural pain killer, makes you look younger, boosts immune systems, helps you sleep better, helps you meet positive people, lends in better decision making, and, rumor has it, that it might even get you out of a speeding ticket! For daily use. Avoid foods and drinks that stain after whitening. Please read all directions prior to use. Remove Cap from Britenz Whitening Applicator. Gently turn base of pen clockwise until whitening gel appears on bristles of the brush (in the beginning additional turns may be required). Dry teeth with tissue or soft cloth. Apply a very thin layer of whitening gel to each desired tooth. May be applied two to three times a day. 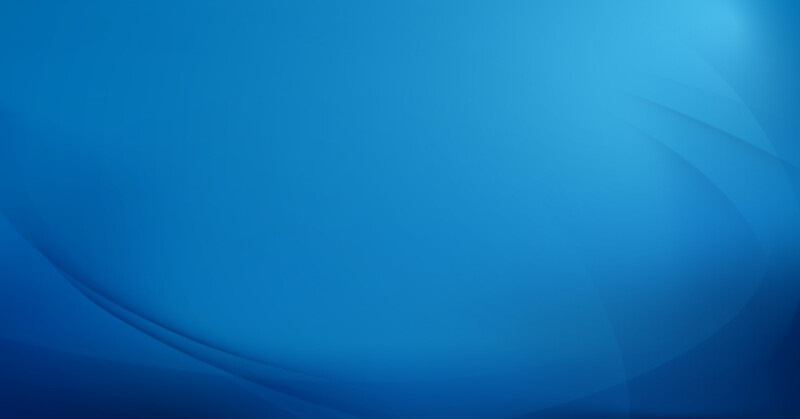 Discontinue use if sensitivity occurs. Consult dentist if sensitivity lasts longer than 72 hours. Brush a thin layer of gel on the teeth that you desire to be brightened. Replace cap securely when finished to avoid drying of brush. Britenz is safe to use everyday. In order to achieve maximum results avoid eating, smoking, coffee, tea, red wine and other consumptions immediately after use that might hinder the whitening process. For best results continue use for two weeks uninterrupted. Is Britenz a gel or a paint? Britenz is a professional whitening gel and is definitely NOT a paint. The gel contains the same ingredients used by dental professionals to whiten your teeth. Additionally, there are other natural ingredients to help clean and protect your teeth while leaving your mouth feeling minty fresh. How does Britenz actually work? Britenz works similar to most dental products. The Britenz Gel contains hydrogen peroxide, a natural whitening ingredient, and several other healthy ingredients to support whitening. The gel holds to your teeth long enough for the whitening agents to be absorbed. We use a grade and level of hydrogen peroxide that is safe and is actually produced by your body. Results may vary. Even we get tired of hearing that. Truth is, each tooth is different, as are your personal preferences; what you eat, how often you use Britenz and how much you’re wishing to whiten your teeth. You should notice a slight improvement with each use. With most people, we suggest using the product 2-3x per day for 10-14 days to achieve the results they are seeking. Britenz will not whiten caps, fillings, bridges, dentures veneers and crowns. What if I swallow the Britenz products? Britenz contains ingredients recognized as safe by the FDA. Can I use it too much? 2-3 x a day is normal. You can use it as often as needed to achieve the results you are looking for. If you observe redness, stop using the product. If redness continues to persist for more than 72 hours, consult a dentist. Is this really the best way to whiten my teeth? We believe Britenz is. Since Britenz is easy to use and refreshing, our customers have found that they incorporate it into their active daily routines. How do I stop my teeth from discoloring to start with? Eat carefully. Staining of your teeth comes from a variety of sources. Try avoiding sodas and replacing them with water. Coffee, smoking and red wine should also be carefully watched while you are attempting to brighten your smile. Will this affect my enamel? Your enamel will become whiter and brighter. Britenz contains ingredients that help protect your enamel while whitening your teeth. Daily usage of Britenz should not negatively affect your enamel. Britenz creates an unwelcome environment for bacteria and helps clean your teeth and mouth. Has this been used before? Absolutely, the active whitening ingredients in Britenz have been used for decades to whiten teeth by dental professionals. These ingredients have been proven safe and effective. Why is Britenz cheap – what’s the catch? Avoid contact with the eyes. Keep out of reach of children 16 and younger. This product has been designed for adults with mature teeth. Do not use if you are pregnant or believe you are going to be pregnant. If eye contact occurs use clean water to rinse eyes thoroughly. If irritation persists seek immediate medical attention. If any health problems occur while using product call a Poison Control Center immediately. Avoid getting product on to gums. Avoid direct contact with fabric. If redness, soreness or swelling occur in the mouth discontinue use immediately, if irritation persists for more then 72 hours, consult a dentist. Britenz Teeth Whitening will not whiten caps, veneers, fillings, bridges, dentures and crowns. If tooth sensitivity or irritation of the gums or mouth occur, discontinue use. Avoid direct exposure to heat an sunlight. Keep and storre in cool dry place. Consult your dentist before using this product.